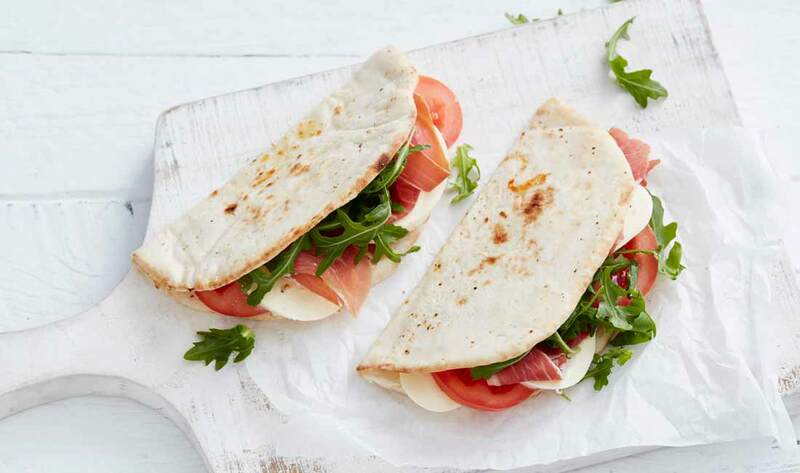 Our thin Piadina plays homage to its Romagna origins in flavor, texture and size. 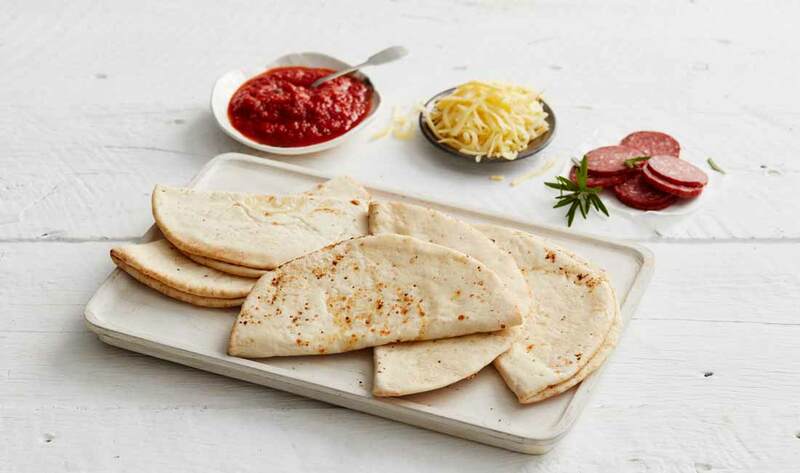 Letizza Piadina Italian flatbread is perfect for Vegetarian, Italian, Mediterranean cuisines; just add cured meats, salad greens, vegetables, roasted meats and cheeses. The Piadina allows you to serve unique, signature sandwiches. The Letizza Piadina comes in two sizes, a 7″ and a 9″ and we also custom make different sizes for customers. The Letizza piadina is a perfect alternate to the classic wrap, but the best part is you do not need to overfill the piadina as you do with a wrap, their are less carbohydrates within our piadina then a wrap, and if the piadina is sitting in your glass display cabinet at your cafe, school or restaurant it will not become soggy by the end of the day, as a wrap does. It also updates the classic ‘toastie’… which customers always like something new! Are you looking for something new and wow on your cafe menu? Or looking for a perfect after school snack? Or quick dinner? The piadina is a perfect solution, as it’s based on a similar recipe to the Letizza pizza bases which means it’s full of authentic flavour. Contact us today for a in house demonstration on how to fill and grill our Letizza piadina or even to try some samples. WHEAT flour (WHEAT flour, Vitamins (Thiamin, Folic Acid), Water, Yeast (Bakers Yeast, Water), Iodised Salt, Olive Oil and Canola Oil, Sugar, Parmesan Cheese ((MILK, salt, Cultures, enzymes), anticaking agent (tapioca starch, E460, E200)), Cheese (MILK, Salt, Starter Culture, Enzyme), Breadcrumbs (WHEAT flour, Sugar, Salt, Yeast, Canola Oil), Presevative (282, 202), Garlic Concentrate.